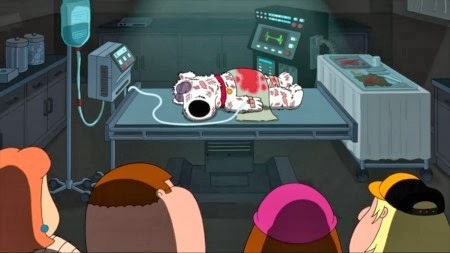 I finally saw the episode when Brian comes back. I felt the need to cry when Stewie told Santa that all he wanted was his friend back and Vinnie's reaction was just...heartbreaking. 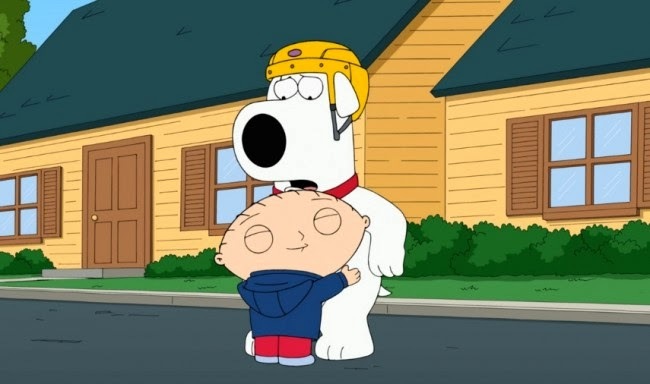 It was sweet seeing that all Vinnie wanted was to make Stewie happy and he did at the end. I'm glad Brian is back. He has always been a wonderful character overall in my eyes. However, when Brian died it gave a sense that it's okay. You know that moment you have to let your pet go...that sadness you feel. You holding your pet for the last time, wishing you had all the money in the world to bring that sweet pal of yours back. Feeling like the worse owner in the world. Brian gave another message to his family. "you gave me a wonderful life, i love you all." It hit me hard and I'm sure a lot of other pet owners as well. Peter's last words about Brian was so touching as well and maybe shown others that don't understand the heartache families go through when losing their pet. They are more then pets in their eyes...They are family. Time to move on, Griffin family. Getting a new pet you feel the need for one yet you feel kinda bad about it sometimes as well. However, Vinnie was never meant to replace Brian. No one can ever be replace. However given a pet a home is something I think Brian would had wanted in the end. Another animal to have a wonderful life as well. Stewie wasn't into the idea of "replacing" Brian and act cold around Vinnie until Vinnie told his story. How he was dealing with the some stuff. Haha, sorry couldn't help myself. How he lost someone he loved as well. 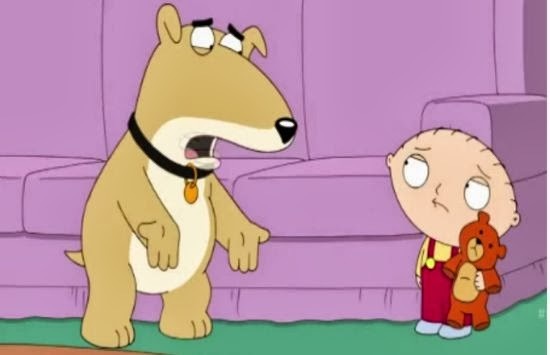 Stewie felt comfortable enough to open up to him and it was just too sweet. They hugged and Stewie finally slept peacefully with Vinnie there. Brian returning leaves me feeling more bittersweet then over joy which some if not most fans are. Which I don't blame them to be. The episode of Brian being dead to Brian coming back were both really good but I do wish it was longer. I wish we got to know Vinnie more and I wish the wait for Brian returning was longer to make his return more joyful..but, that's just the critic in me. I'm hoping Vinnie will return somehow and maybe the two of them would end up being like brothers. Ah, one can dream.